Our subgroup studies ocean currents and fluid dynamics on local, regional and global scales. This research is strongly interdisciplinary with connections to primary production, organism or chemical transport as well as the ocean’s role in climate variability and climate change. Hench, J. L., and J. H. Rosman, 2010. 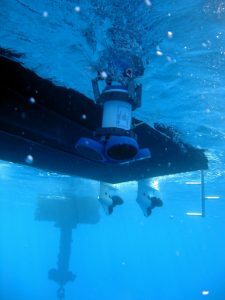 Analysis of bottom-track and compass error in a self-contained acoustic Doppler diver navigation console. Journal of Atmospheric and Oceanic Technology, 27 (7): 1229-1238. Lozier, M.S., V. Roussenov, S. Mark., C. Reed and R.G. Williams, 2010. Opposing decadal changes for the North Atlantic meridional overturning circulation. Nature Geosciences, 3, 728-734.